The world’s largest gold mines come in all shapes and sizes, but it’s hard not to wonder where the true behemoths are and which companies own them. The mines on the list are located in various countries, from Russia to Uzbekistan to the Dominican Republic. However, many of the world’s largest gold mines are owned at least in part by major miner Barrick Gold (TSX:ABX,NYSE:ABX), which was the largest gold-producing company in the world last year. Without further ado, here are the 10 largest gold mines in the world by production. First on the list of the largest gold mines in the world is Barrick Nevada. Barrick Nevada is actually comprised of two Nevada-based mines owned by Barrick Gold: Cortez and Goldstrike. GFMS lists them together because Barrick Gold considers them an integrated operation. Combined, these two mines generated 71.9 tonnes of gold in 2017. Muruntau is owned by the government of Uzbekistan, and officially takes the title of the second-largest gold mine in the world by production. According to GFMS, Muruntau produced 62.2 tonnes of gold last year; however, the information comes with an important caveat — details about the mine have been a longtime state secret. Newmont Nevada consists of a total of 11 mines and 13 processing facilities. As suggested by its name, Newmont Mining (NYSE:NEM) is the parent company, with many operations and projects spanning Africa and Australia, as well as North and South America. In total, Newmont Nevada stretches over 2.6 million acres in the state and accounts for approximately 30 percent of the company’s total global output. Last year it put out 49.3 tonnes of gold. Pueblo Viejo is one of the newer large gold mines in the world, and is a 60/40 joint venture between Barrick Gold and Goldcorp (TSX:G,NYSE:GG). The mine is located in the Dominican Republic, and its production decreased by 2.6 tonnes from 2016 to 2017, coming in at 33.7 tonnes. Located in Russia, Olimpiada is an open-pit operation owned by UK-based Polyus Gold (MCX:PLZL). Olimpiada began production in 1996, and is the company’s largest gold operation. It holds proven and probable reserves of 30.01 million ounces of gold. The mine increased its gold output by 5.9 tonnes last year, amounting to a jump of roughly 23 percent. 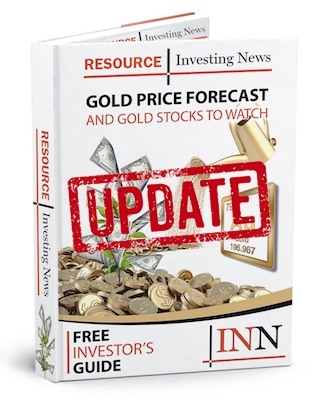 Lihir is a gold mine that was acquired by Newcrest Mining (ASX:NCM) back in 2010 as the result of a merger with exploration company LGL. The mine is located on Lihir Island in Papua New Guinea, and produced 28.6 tonnes of gold in 2017. The site has produced over 10 million ounces of gold since 1997. The Boddington gold-copper mine is one of the largest gold mines in Australia. The operation began as a three-way joint venture between Newmont Mining, AngloGold Ashanti (NYSE:AU) and Newcrest Mining, but is now wholly owned by Newmont Mining. Boddington’s production decreased by just 0.4 tonnes from 2016 to 2017, coming in at 24.5 tonnes. Next is the Kalgoorlie Super Pit, a joint venture in Western Australia that is split 50/50 between Barrick Gold and Newmont Mining. The mine’s output saw a small decrease in 2017 over 2016, falling 0.5 tonnes. This is yet another mine under the Barrick Gold umbrella. Located in the San Juan province of Argentina, the Valadero mine produced 19.9 tonnes in 2017. The mine is a joint venture between Barrick Gold and Shandong Gold Mining (SHA:600547), split 50/50 between the two companies. The mine has proven and probable gold reserves of 79.37 tonnes. Rounding out the list is Canadian Malartic, located 25 kilometers west of Val-d’Or in Quebec. This open-pit mine and plant were originally built by Osisko Mining. But in 2014, Osisko and its mines were acquired by Agnico Eagle Mines (TSX:AEM,NYSE:AEM) and Yamana Gold (TSX:YRI,NYSE:AUY). The two companies share a 50/50 split. The mine has an expected life of 11 years remaining, and approximately 90 tonnes of gold reserves. Which of the largest gold mines do you favor? Suggest you have a close look at the Gold Road web site in Western Australia. I think this is a really good up and comer!